Product prices and availability are accurate as of 2019-04-08 11:46:29 EDT and are subject to change. Any price and availability information displayed on http://www.amazon.com/ at the time of purchase will apply to the purchase of this product. 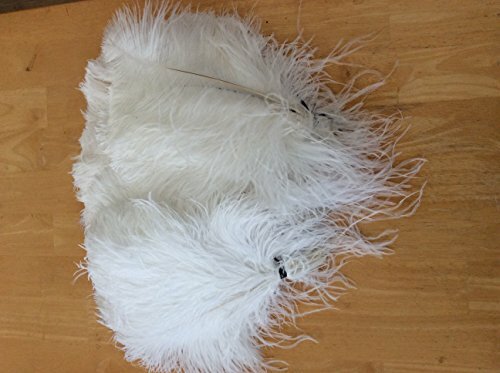 This listing is for 10 pieces of 18-24" Bleach white Large Wing Plumes. 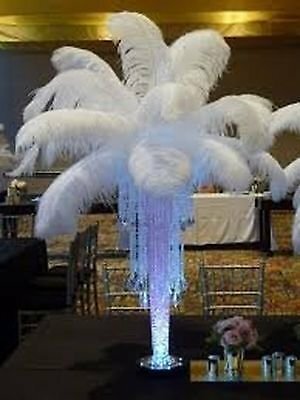 You will need approximately 10-20 feathers to make a nice wedding centerpiece. Just add this pack of Ostrich plumes to your centerpiece. 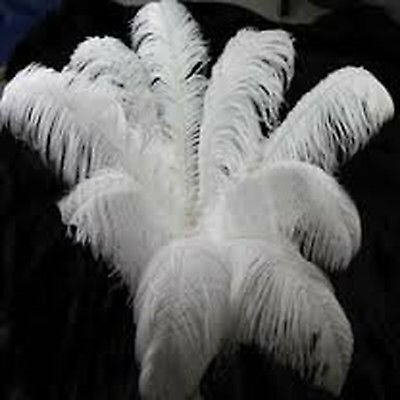 These white ostrich feathers range in size from 18-20 inches with wispy hair-like feathers. The Ostrich plumes are called Byock Wings. Byocks can be classified as a plume, transition feathers from Body to Wing feathers. These large feathers vary in shape and size. 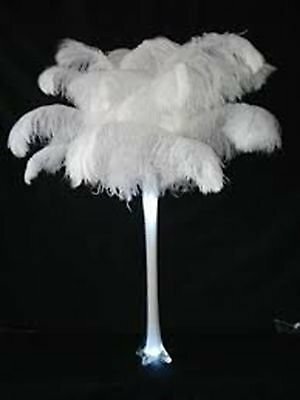 This is for 10 NEW Bleach White Ostrich Feathers. We mainly sell these for Eiffel Tower Arrangements. Since these are a natural product individual feathers vary in size and shape. They are from 18-20" long, tip to tip. Mix sizes to save on feathers-buy long and short ones and layer on arranging. These are bleach white. This is just for feathers. HINT--Cut feathers tip at an angle to push in foam. Six Star Sales Most Deluxe Feathers. This is for 10 pcs. 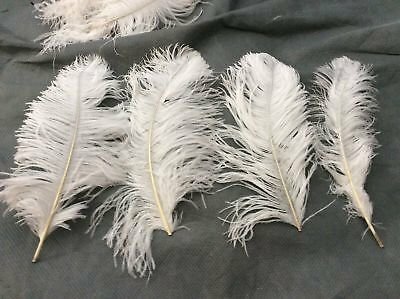 18-20" long, wide, fluffy NEW Deluxe Bleach White Ostrich Feather Plumes HINT--Cut feathers tip at an angle to push in foam.The are brand new, fluffy and soft feathers! Just feathers will are being sold. This particular size is wide, long and full look can be used in the Eiffel tower Wedding vase arrangements as your Wedding Feathers. Mix sizes to save on feathers-buy long and short ones and layer on arranging. Remember shake before arranging. The ostrich plumes are called Byock Wings. Byocks can be classified as a plume, transition feathers from Body to Wing feathers.